Comfortable and functional. 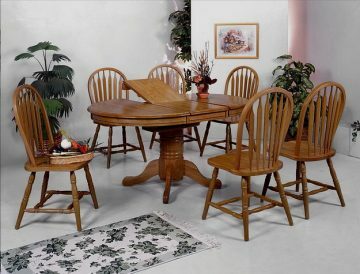 Grindleburg upholstered dining chair is a well-designed country cottage inspired piece. 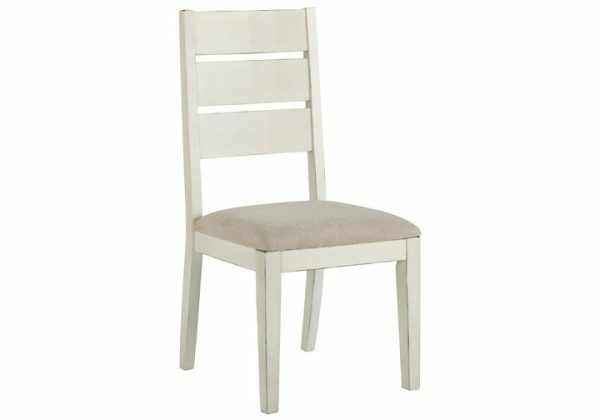 Wood frame with textured white finish showcases supportive broad ladder back design. Seat cushion is upholstered in a stunning light gray. Easy-to-clean Nuvella® fabric is bleachable and incredibly colorfast, even in sunlight. This innovation eases your worry when food takes a plunge from your heartwarming farm to table meals. *The chairs are sold in sets of two only. We cannot separate the chairs to sell individually.